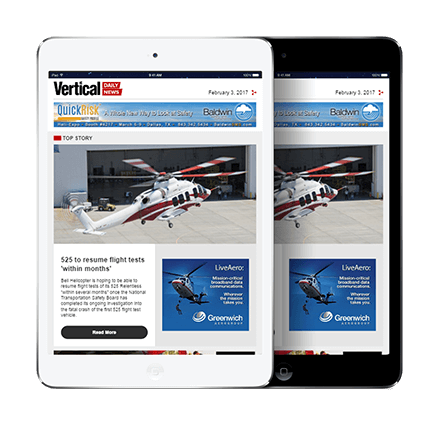 The results of a new study confirm that the helicopter industry is expected to face a serious shortage of qualified pilots and maintenance personnel over the next 18 years. The study, performed by the University of North Dakota (UND) in collaboration with Helicopter Association International (HAI) and Helicopter Foundation International (HFI), predicts there will be a shortage of 7,649 pilots in the United States alone between 2018 and 2036. 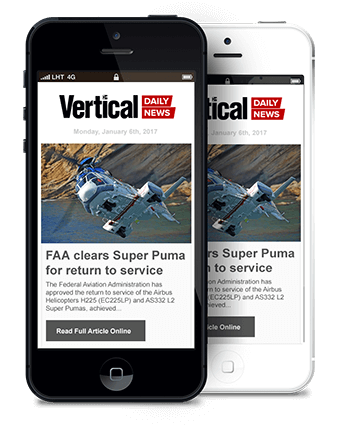 That deficit will be driven largely by an expected 1.5 percent increase in the country’s total number of airframes over the next two decades. While this number is concerning, it’s the results of the maintenance personnel forecast that are most alarming. In a presentation at Heli-Expo 2018, Dr. Elizabeth Bjerke of UND revealed that the U.S. is expected to see a cumulative shortage of 40,613 certified aviation mechanics between now and 2036. A survey of more than 250 HAI operator members, three quarters of them from North America, shows that 67 percent are already finding it more difficult to locate and hire qualified mechanics. The shortage of helicopter pilots and aviation maintenance personnel is also being felt internationally. Bjerke said one of the biggest threats to the personnel supply is the growing helicopter industry in China. In 2017, there were only one thousand helicopters operating there; but as the country’s population and infrastructure continue to expand, China will need to import industry expertise. As its industry grows, it will siphon off pilots and maintainers from the rest of the world. Closer to home, regional air carriers in the U.S. also represent a threat to the supply of helicopter pilots. As they scramble to fill their own cockpit seats, these operators are offering candidates rotary to fixed-wing pilot transition programs. 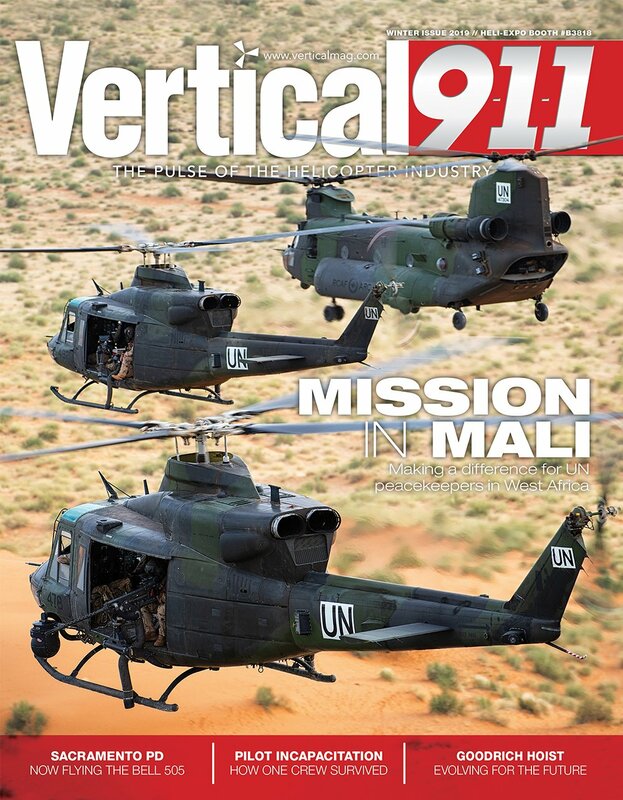 The UND reached out to three regional airlines to find out if helicopter pilots are showing interest in these conversions. She said one common theme is that while the fixed-wing industry has well defined pilot career paths, those don’t really exist in the helicopter industry. On the maintenance side, some people felt efforts should be made to recruit and re-train qualified military mechanics to help bridge the experience gap. Attracting the next wave of helicopter pilots and aviation mechanics is a big priority for HAI and HFI. Bjerke made several recommendations to address the looming shortage, including harnessing the power and creativity of young people themselves. She suggested ideas such as creating and posting more helicopter pilot and maintenance videos on YouTube, Instagram and other social media sites, as well as designing helicopter filters for Snapchat and harnessing the power of virtual reality (VR). Bjerke also encouraged industry members to create internships so students can help them identify the best ways to communicate with their generation. The creation of defined career pathways for helicopter pilots and maintainers will also go a long way to attracting Generation Z, which Bjerke said enjoys structure and job security. As an example, she pointed to a recent partnership between UND and U.S. Customs and Border Protection. Concerned about its future supply of pilots, the government agency is working with the university to give student trainees the skills they need to join its ranks. Bjerke also said industry must invest in things like recurrency training programs, financial assistance and more rotary scholarships for both flying and maintenance. The impending labour shortage has the potential to severely cripple the helicopter industry. As Bjerke indicated, “drastic” action is needed. Implementing solutions will require a united effort from all stakeholders – including government, industry, military, finance, insurance and education – to ensure there are enough young recruits to keep both rotors and wrenches turning. It is very interesting to continually read about the pilot shortages, but still the industry does not respond to change the situation. Locally in South Africa salaries are low with little or no company benefits for pilots. Company employees are being looked after while pilots are being exploited to the point where a lot of us are thinking of changing career paths and leaving aviation entirely. Getting a helicopter licence is very expensive and getting even more so by the day, while salaries do not follow and in some places even decreasing. Until companies change their behaviour towards pilots, I do not see the current situation changing. Although the pricing to get A & P certified is not anywhere near the cost of a pilots rating I must say the results & behavior to value an AMT are exactly the same as above. So many individuals holding an A & P would not dare risk more money to become pilots. The ROI, risk, & work life balance just isn’t there like it used to be. Of course that is compounding because the more shortages we have the harder everyone needs to work for less to keep the same pace or hopefully grow. With that, I see many colleagues move to other industry & take their skillset with them. This commentary is timely to wake up the leaders in this industry. 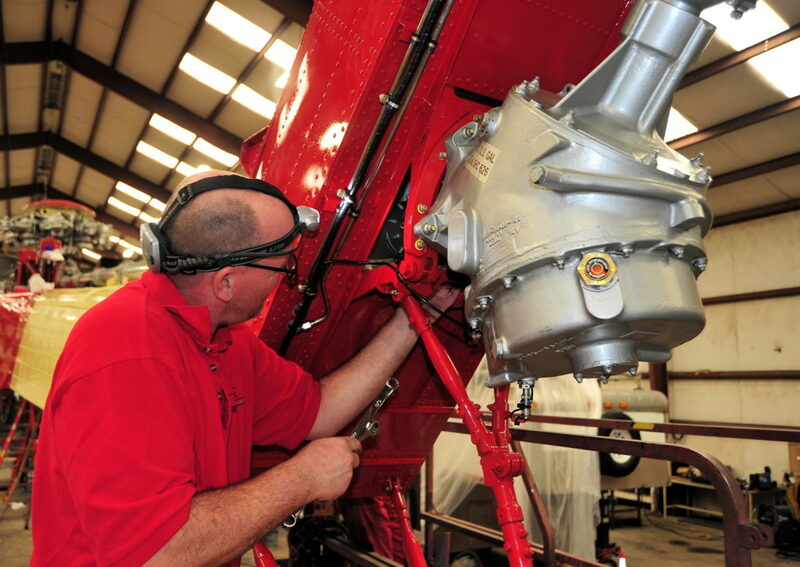 We already are feeling the pinch with experienced pilots and maintenance engineers at our company. The option to bring in low time inexperienced pilots has been thwarted by customer and insurance requirements on jobs that could easily be completed by low experienced personel. Even for myself, a 20,000 hour helicopter pilot am looking to moving to an airline position as there is a increased ceiling in remunerations. Our pay has been dropped as the resource industry went quiet. I’ve seen my pay drop 30% in the last 15 years. No pensions, benefits unlikely as companies try to survive until the next oil boom. I wish the companies luck trying to operate without qualified and experienced people that are in the industry now. These people are the mentors to help solve the experience gap that has developed. They will be lost to retirement and transition to the airlines where they will experience benefits and wage increases. I feel the same as those respondents above. As critical as maintenance is to safe operation of aircraft, the pay is woefully inadequate! I feel most A&Ps are in it for the love of aircraft. There needs to be a cocerted effort to begin recruiting in the middle schools. I also feel that women/girls need to be heavily recruited. Women are overlooked when it comes to mechanical careers. Well put Sam, I couldn’t agree more! I flew choppers for 13 years then transitioned to Airlines the last 10 years. Over 23 years of flying, I experienced everything you have written. I hold ATPLs in Australia, New Zealand, South Africa and Fiji. It’s the same the world over. Companies are used to not paying us properly as they want to just shake a tree and have a desperate pilot fall out that they can take advantage of. An Uber driver with 1/100th of the qualification, responsibility and financial outlay makes what a helicopter pilot makes and can work their own hours. Are many AMT’s in world that have a Dreams to work in outher countries but the rules not acept us. I work with Sikorsky Aircrafts models S-76 series and S-92 on Brazil with MM in English Language and I can’t works with the same aircra and MM’s, on USA or in outher Country. The rules are the same betwen this countries, the Brazilian rules are the translate of the rules FAA. The import of workers qualified are scape to this lag. Sam, speaks for many of us out there. A diesel mechanic with the same amount of training will make more working on a 60k truck then a newbie A&P working on a 747? How is that possible? The math does not work on that? How can you expect a young kid to go spend 100k or more, to learn how to fly and then go make minimum wage to build hours? The pay is terrible for the time invested and the liability on the pilot or mechanic. It is true that you have to enter the helicopter industry because you love it. However there needs to be a clear career path and a light at the end of the tunnel to be able to pay your bills while getting there. Remember the people with the business degrees own the aircraft. All the others work and fly them. This is usually not the other way around. Sam resumed the all story about this B/S pilot shortage. As he said, stop taking us for prostitute who love flying and should be available any time at any cost. After 25 years, I have seen no change in this industry except the traditional complain of not having enough “QUALIFIED PILOTS”. Yeahhhhhh. There is a lot of people who have spent a lots of money and are going nowhere, and at the end, switch to a different job because there is no hope. And for the rest, well, it’s easy, you never have what they need, so your life is miserable until you can find something decent after so many years. An insanity !! As a 46 year old who wanted to switch careers to follow my life long dream to fly (Helicopters), I find the path to be too expensive and unsure. I am still studying but at some point soon I’m going to have to make the decision to spend at least $100,000 just to have a chance at a $50,000 per year job. Less than I’m making now. There’s no path to many people for success. 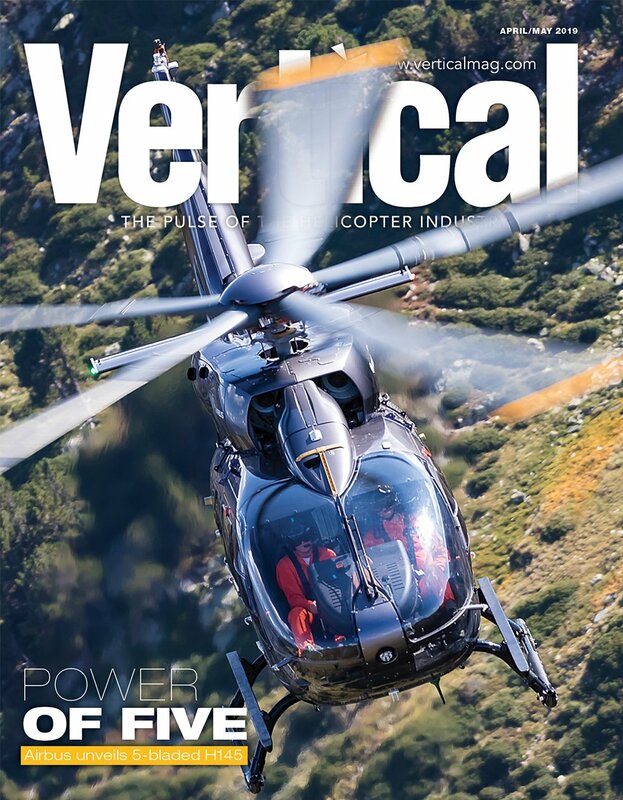 If there’s such a shortage for Rotor Pilots, then where is the initiative for Pilots to start training other than simply their love of flying? Can’t rely on the “Hey you like doing your job so we don’t have to pay you much.” forever. Unfortunately, it is the same in the Music industry, which is my current field as well. I’m not a pilot but always had that on my mind. The training seems very expensive, of course, but I see the future of unmanned helicopters replacing most helicopter pilot’s jobs. Now more than ever we have the technology that can accomplish this. For filming and survey purposes it should be no problem, I can see how people would still hesitate flying in the helicopter without a pilot. The Russians are already testing this technology, the autopilot can probably fly better than a human. I’m not an expert but unmanned flying aircraft would make more sense than unmanned cars. On the roads you have many more hazards, the airspace is more controlled. The drones are already doing a lot of the work and it may be just matter of time when they solve the issue with a human and cargo transport. I have been flying for years and keep hearing this shortage rubbish. It is more a case of pilot mismanagement by companies and government agencies. BCP Aviation Branch will not grant flight hour waivers even though applicants are told to request them. If there was a true shortage; hiring minimums would decrease and wages would increase. Its hard to believe there’s a shortage when I didn’t get a single interview this season. Sure, I’m only a 700 hour pilot, but I should be of use to somebody,…you know, during a pilot shortage and all! Jobs advertised in Aust – HR departments will exclude experienced and knowledgeable applicants on the basis they don’t have a particular type rating – flown 20 different helicopter types – news flash! they aren’t that different and the larger ones are easier to fly. 8000hrs 30 years experience paid same as the trades. Why are US EMS companies only paying 70k USD if there’s a shortage? Would convert to Airlines but no green card – another road block. Well, i’m a 700+ hour heli pilot hoping to get a “real job” this season and stop having to work a night job on top of being a flight instructor. Now I have even less hope. The bottom line, you can do all the recruiting and marketing that you want. If companies don’t provide adequate compensation and benefits they will not retain their current employees. The younger generations are a product of today’s challenges, If they don’t see a financially stable career path, marketing and hype won’t help in recruiting the next generation. I am a 10.000 hrs IFR VFR , vertical refference , production and extreme heliskiing and mountain sports , aerial firefighting , VVIP , air ambulance , scheduled airline helicopter pilot and type rating instructor….from R22 to S-92 …flown all over the world….healthy and looking very actively for work….applying to every bloody company in Canada and internationaly …got a few respones , all of them are dysmal , condescending, with rubbish pay and unbeliveable expectations from so called employers…Sam, you hit the nail on the head…let us stop talking about the pilot shortage….if these insane heli companies would fire about 99.998 % of the crappy ivy league management bloodsuckers and useless HR multitudes of teams, pointless advisers and managers of god-knows-what , there would be a plenty more of funds to pay decent wages to people who actualy make these helicopters work…engineers, pilots and support staff….but….we can bark all we want…..been in this i dustry long enough to know about a good many of these lies of loomig shortages of pilots ……it is nothing but a bull crap. There is a huge shotage of HR people….just ask anyone from the biggest offshore IFR helicopter copmany that collapsed two years ago….they have more HR pencilpushers than the actual number of pilots….my advice ? Get retrained …..become a tire rotation techincian or a hair salon greeter…..more respect and copmarable pay…..
With 25 years as a pilot I must agree that Power’s commentary is 100% correct. Rubbish. There is no pilot shortage. Hiring minimums keep going up, not down, and salaries have stayed the same. No shortage except for the Air Force’s mismanagement of their training pipeline. Anyone think of starting a Helicopter Pilots Union? A stage for help pilots to be heard, represented, and looked out for. I don’t have the qualifications or knowledge to start one myself, but I wouldn’t mind paying union dues to feel a little security in the helicopter pilot industry. Iv thought of it and belive that may be the only way to have a backbone going forward in this industry. That very well may be the answer. I agree with everyone’s input. My problem is the “lack of hours” that apparently makes me useless.There’s no lack of available pilots, there’s a lack of companies willing to take a low hour, licensed individuals and train them to do what they do on a daily basis. You want someone who expertly does the job your company relies on? Take them, train them, employ them. Honestly at this point I couldn’t care less about the pay I just want a flying job before I get too separated, desperate, and forget about it. Been looking for over a year now with no concrete responses. It’s very discouraging. The part where they talk about “getting into tech stuff and appealing to new comers” is full of hot air. I trained in a Cabri G2 which is supposedly an updated, state-of-the-art training helicopter to help stream line students into the next generation of fancy rotorcraft. The only thing a Cabri gets you is 99% unemployable. Most beginner jobs out here in the States are using Robinsons. Good luck satisfying a company’s “requirements” as far as the SFAR goes. P.I.C. endorsement means nothing to them. You still need like 100-300hr min’s in a 44 or 22 to be looked at. It’s ridiculous. The industry needs to change at the foundation. Not only the salary has to change, but also the way low hour pilots are looked at. The notion of paying your dues is a stoneage mentality. They already paid enough money to get to that place. Hiring them right out of flight school and sitting them next to a dedicated mentor pilot, will be more beneficial to the industry then letting them rott away in a flight school at barely above poverty level wages. But what do I know, I am one of those low hour pilots. But when fixed wing companies poaching helicopter pilots at the heli expo and making a killing doing so, things need to change drastically and fast. Keep the blue side up and the brown side down, fly save.